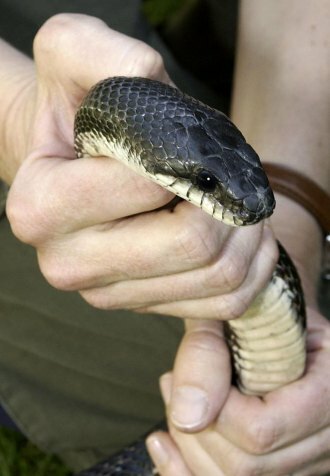 HACKER VALLEY, W.Va. — Holly River State Park will host a popular Division of Natural Resources Wildlife Diversity program about the state’s native snakes on July 6. The program, led by DNR biologist Jim Fregonara, gives kids an up-close look at live snakes and focuses on their eating and mating habits, their life expectancy and where they can be found in the Mountain State. The presentation starts at 2 p.m. in the Anderson Activities Building. Holly River State Park, located in Hacker Valley in Webster County, is about a 30 minute drive south of the West Virginia State Wildlife Center in Upshur County on State Route 20. The park features legacy cabin rentals, camping, a restaurant, an outdoor swimming pool, fishing, picnicking, hiking trails and planned summer activities. Call 304-493-6353 for information. Beech Fork State Park near Barboursville also will host the “Snakes of West Virginia” program on Aug. 3 at 7 p.m. in the park headquarters activities room. The evening host is Brian Tabor, park naturalist.